Desk job neck pain is a common patient complaint suffered by a great number of people who must sit at a desk to work all day long. Sitting is an activity which seems so innocuous, yet is cited as a direct cause or contributor to lower back, neck and sciatica pain more than any other singular positional factor. While desk jobs do not have a reputation as being difficult manual labor vocations, it is still crucial to understand how continuous sitting can create the ideal circumstances for neck symptoms to occur. Remember, there are both physical and psychoemotional considerations when discussing neck pain related to an office job. This article will help provide guidance for patients who must sit to work, but are tired of suffering the ramifications of being stuck in their office chair all day, every day. Poor posture can strike the neck muscles with terrible pain, especially after a long day. Allowing the head to slump, or constantly looking down to work, are both problematic behaviors which may cause acute or chronic muscular pain. Always be sure to avoid poor seated posture or static positions as much as possible. Having a poorly designed office space will contribute to muscular strain. Computer monitors which are too low or too high are the biggest problem, but any repetitive activity or position which must be performed throughout the day can also create pain. 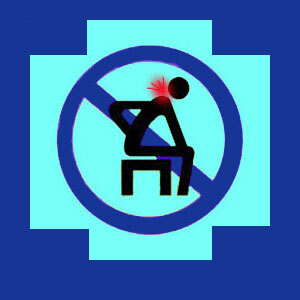 Always try to achieve proper ergonomics for any work-related activity, such as filing, customer service or other tasks. Choosing a proper seating surface can help many desk workers with both of the above recommendations. Try to utilize a chair which will support and move with your body, but not allow you to slouch or over-extend your reach or posture. The vast majority of people who must sit at a desk often do so for work purposes. Work, by nature, almost always involves a certain degree of stress. In most people’s lives, work is cited as the single most stressful factor. This is widely accepted and is actually common knowledge among anyone who must work to survive. However, few of us take the time to consider how work stress affects us both emotionally and physically. Feeling stressed will cause tension in the body, causing tight neck muscles and that high-strung feeling. When we are emotionally challenged, our bodies respond by increasing tension, as well. This makes for a very uncomfortable feeling and can actually be the very reason why neck pain might begin. 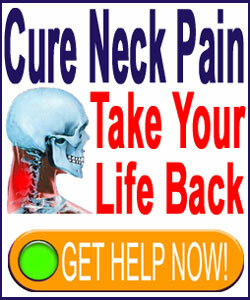 However, even for the most structurally-induced neck symptoms, there is always the possibility for emotional overlay. This means that a negative, stressed or pressured psychological state can worsen existing pain or cause it to last longer than it normally would. When you consider that work never really ends, the stress associated with it tends to linger, as well. No wonder so many patients have psychoemotionally-enacted, perpetuated or escalated neck pain conditions which they mistakenly link to the occurrence of sitting at a desk all day. First, take time to begin with the easiest to fix factors. Address your posture, work habits, ergonomics, work station set-up and anything else that can be physically altered to provide some semblance of relief. Next, be sure to think about work stresses and even unrelated emotional pressures which might be contributory to your suffering. Discounting the psychological is always a crucial mistake, which dooms some patients to chronic pain and sometimes, unneeded surgery in the future. Once you can put all the mind and body factors into perspective, there is no reason why most patients can not cure, or at least greatly diminish, desk job neck pain from ruining their work time and their lives, in general.